In an ideal world, work would come in without your having to fight for it or search it out. If your company isn’t in that favorable position right now, then do the next best thing – win more of the bids you do prepare. Fewer hours spent bidding means more time actually generating revenue. The recent recession hit the construction industry hard, and indicators are finally showing improvement. According to Dodge Data and Analytics, construction starts will rise 6 percent in 2016, following a strong rise of 13 percent in 2015. This is good news for contractors, but some aftereffects of the recession are still being felt. With the industrywide consolidation that took place, many contractors going out of business and those left all chasing the same projects, there is often intense competition. Areas experiencing a growth surge are facing the opposite problem – a shortage of available contractors. It’s essential to understand what is happening in your geographic area and field of specialty. What are the trends? Where are the glimmers of a turnaround? What are the competitive advantages and skills you bring to the table? Regarding past projects, which ones were the most profitable, successful and most likely to be replicated? Data regarding real estate and construction activity in your region is critical. The numbers need to be at your fingertips – sales, renovations, building permits, construction starts. Who are the customers currently hiring, whether homeowners or commercial building owners. Regarding homeowners, life stage and needs drive the types of projects they require. Changes in the insurance industry might also drive construction work, for example, new flood insurance or wind mitigation standards. Studying past projects in your region or industry can provide important insights. Who were the industry professionals involved? What were the budgets? Can you spot any trends in building materials or techniques? Were there problems or issues that you know how to mitigate? Who do you know? Marketing wisdom asserts that the best sources of new customers are your former customer base and industry contacts. You have a leg up here. These people know you and your work and hopefully can speak well of both. It’s easier for architects, general contractors and building owners to work with the tried and true rather than vet new prospects. Keep in touch with your existing contacts so you’re the first to hear about upcoming projects. Telling people you’re looking for work can be a good thing. If they think you’re all booked up, you might not be approached. If a certain sector appears promising, then widen your net to reach the building owners and decision makers and the firms who specialize in that field. In your background research on the companies involved in that sector, you may discover mutual contacts. Use your networking skills to develop a deep understanding of the sector, the players and what’s happening now and over the next few years. To benefit your network, provide value back to them through your knowledge and contacts. 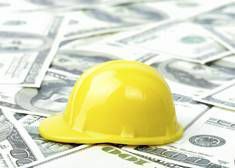 Many general contractors release bids to prequalified subcontractors. Make sure you’re on the list with the companies doing the type of projects you want. This step will automatically set you up to create a pipeline that’s appropriate for your goals. Use the results of your due diligence to create a profile or checklist for the types of projects you want to pursue. It’s always tempting to throw things out there to see what sticks, especially if the pipeline isn’t as full as you want. But resist that temptation. You want to direct your efforts from bid to build-out to the work that will be the most profitable and successful. Once you bid, keep an eye on who else is bidding and any changes to the project. You may discover that you have advantages over some of the other competitors, and you can present those in an addendum to your bid or during post-bidding discussion. Cheapest isn’t always best, and you want the customer who understands that. Understanding their particular concerns and addressing those can help set you apart. When work is fast and furious, contractors get away with being unreliable and disappearing after making bids or even during projects. Their slack attitudes can benefit you. For the highest level of success, act as if every job and customer is important to the future of your company. They very well might be.